Power Equipment - Yanmar recommended a JCB industrial diesel engine to the manufacturers of the Envirofix hydro seeding equipment when they were commissioned to deliver a massive 13,000-litre hydro seeder. A contractor associated with the natural gas terminal construction at Gladstone in Queensland placed an order with Envirofix for the large machine. Till this order, the biggest unit built had been around 4,000 litres. Company MD Richard Hurley explained that the challenge was to take the basic engineering principles of their successful systems, and apply them to a larger application, which involved the development of some unique features in the new machine. The tank has three hydraulically driven agitators, two turret guns to deliver the mixture simultaneously and six CCTV cameras on the truck to give the driver the best all round view of operations. At the heart of the large unit is a power system that drives all the on-board systems including the agitators and pumps. The requirement from the Envirofix engineers called for a 120hp turbo charged diesel engine. 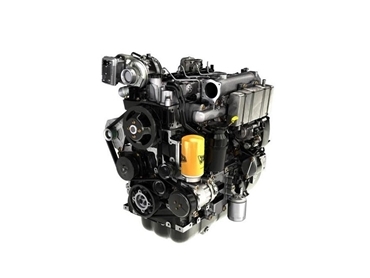 Power Equipment recommended the bigger JCB DieselMax 444 engine for this specific application. The installation was very straightforward with the unit thoroughly tested during commissioning and in the field with the customer. The entire rig is mine spec compliant. Power Equipment - Yanmar is the exclusive and authorised Australian, New Zealand, Papua New Guinea and South Pacific distributor of Yanmar marine and industrial diesel engines, JCB DieselMax, MASE diesel marine generators and Gori high quality folding sailboat propellers.